I love heritage houses! It brings me back to the olden times and let me feel a certain awe when I see these houses - especially when they are well preserved. 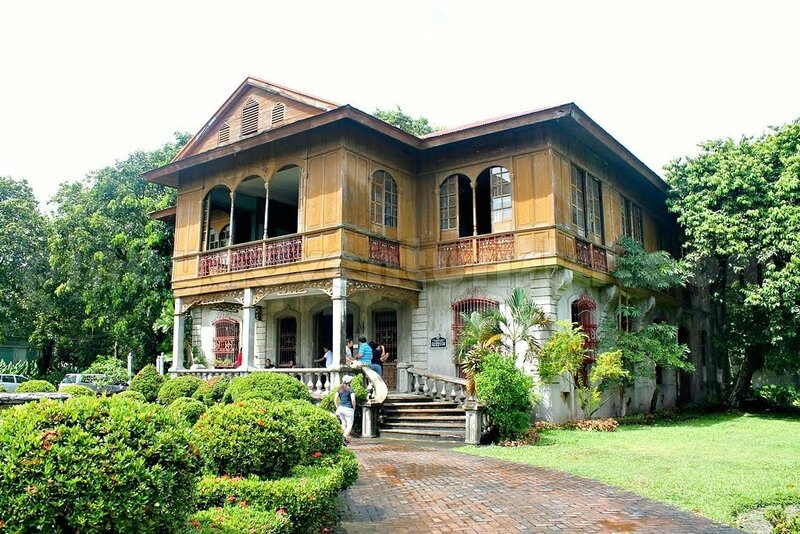 Of all the places with heritage houses I've been to, Silay City in Negros Occidental is one of my favorites. It boasts to have 29 declared heritage houses by the National Historical Institute as National Treasures. 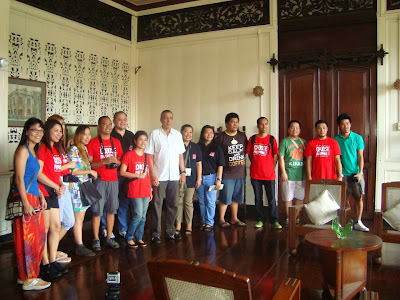 I am so delighted when we were invited for a mini tour around Silay. 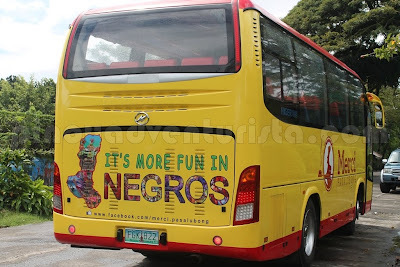 It happened during my visit to Bacolod City few weeks ago for the Masskara Festival. Though, this is my second time to be there, I still felt excited as we will be visiting houses that I wasn't able to enter during my first visit in 2010. Here are the heritage houses that we visited. 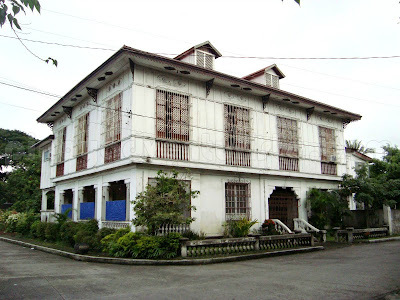 Completed in 1908, the Jalandoni Ancestral House is owned by Don Bernardino Jalandoni and his wife Ysabel Ledesma-Jalandoni. Located near the Cathedral and Silay Public market, it is very easy to locate as it can be found at the main road of Silay. It is one of the first heritage houses in the city to be opened to public. 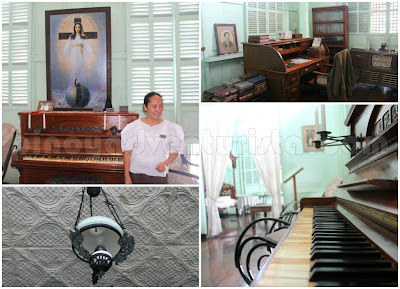 As a museum, it houses several memorabilia of of the Jalandonis. The house's architecture is a typical "bahay na bato", with the first floor made of stones and the second floor made of wood. The flooring at the 2nd floor made of hardwood and the ceiling with a very intricate design are just some of the things you shouldn't fail to notice. The bedrooms are big with furniture maybe as old as the house. The living room is also huge with paintings adorning the walls. You can also see an old phonograph, a grandfather's clock, a piano, harp and rocking chairs on display. At the back part of the house is where the dining room and kitchen are located. They were set-up to depict how it was back then. The museum is open from Tuesday to Sunday, 9:00 AM – 5:00 PM. 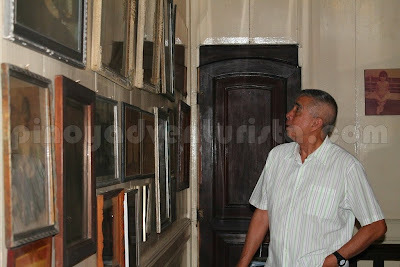 Entrance fee is 50 pesos which includes a guided tour. Popularly known as the house used in filming some parts of the 1980's movie "Oro Plata Mata", the Jose B. Gamboa Ancestral House is a two story structure with the lower floor made of stone and wood at the second floor. 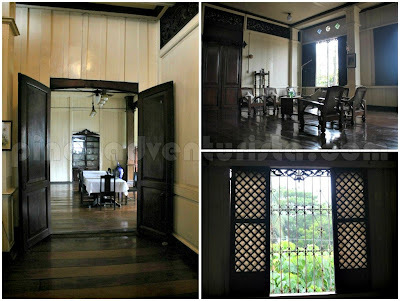 Like other heritage houses in Silay, it also has huge windows, spacious living room, high ceiling and several old furniture. Unlike the museum-houses in Silay, this house is not open to public. Thanks a lot to the owner Mr. 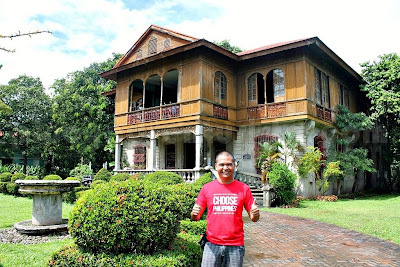 Buddy Jison for allowing us to tour around inside his ancestral home. He graciously welcomed us and even toured us around while telling us stories about the house's vibrant past. Probably one of the most distinguishable heritage houses in Silay as it can be seen in brochures and posters, the Balay Negrense is a restored 1897, 2-story house of Victor F. Gaston, one of the pioneers of sugarcane cultivation in Negros Occidental. It has 12 bedrooms and a living room as big as a basketball court, making it one of the biggest colonial houses in the city. It's my 2nd time to see this house, but this time I was able to get near to it. Since we don't have much time, we just took photos from the outside. It's open from Tuesday to Sunday, 9:00 AM to 5:00 PM. Admission fee is 50 pesos for adults, 40 pesos for senior citizens and 25 pesos for children and students. 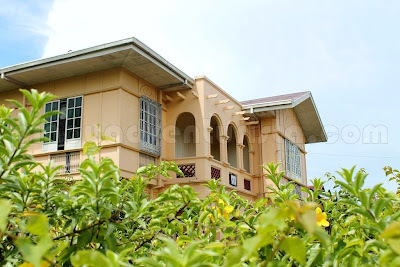 This house belongs to one of Silay City's notable sons, Dr. Jose Locsin. He was a former municipal councilor, governor, congressman and a Philippine Senator. He was also part of the 1935 constitutional convention. 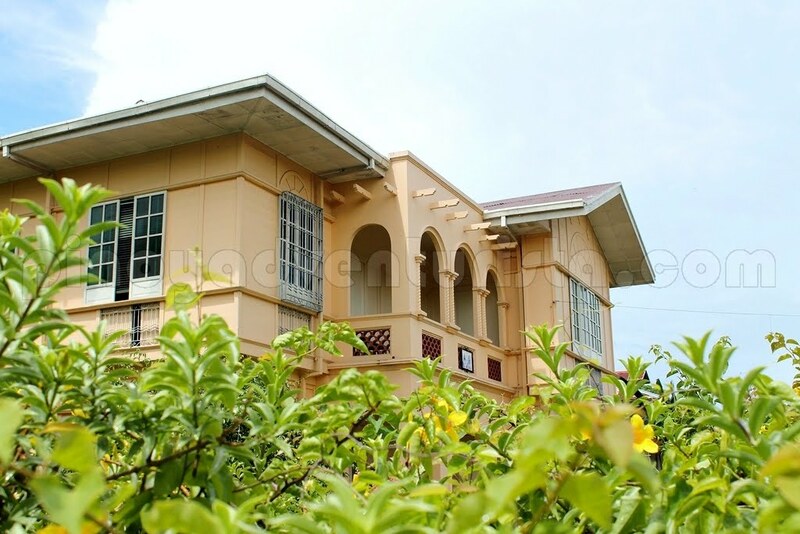 Built in the 1930's, the house has an Art Deco architecture. 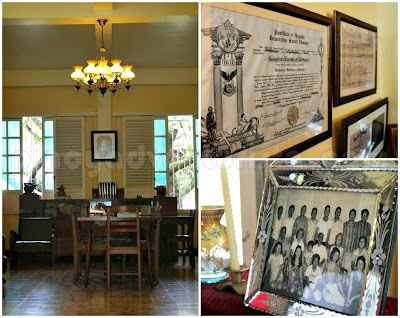 It showcases, some memorabilia of the former senator, like Amorsolo portraits of his parents as well as photos of the late senator with different Philippine presidents. 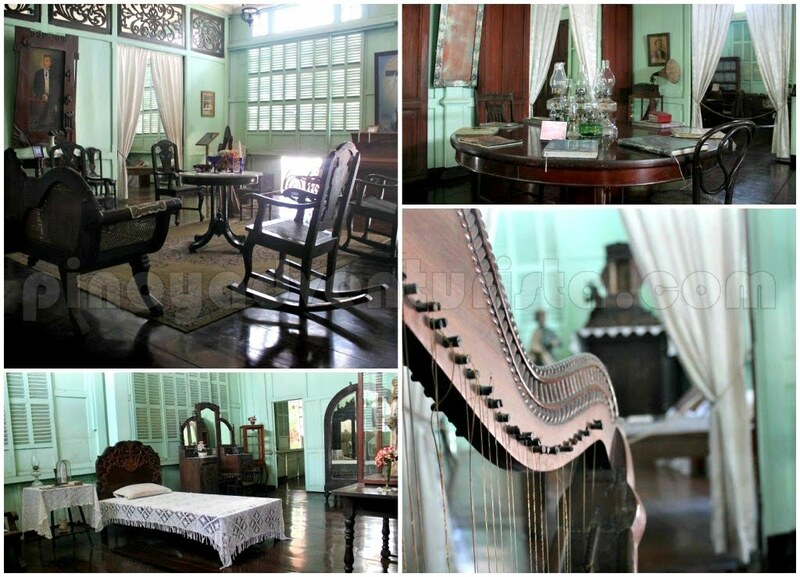 The family maintained most of the original furniture of the house like the piano, chairs, fixtures and others. Not everyone would be given a chance to enter this house and see its interiors since it is a private home of the Locsins. 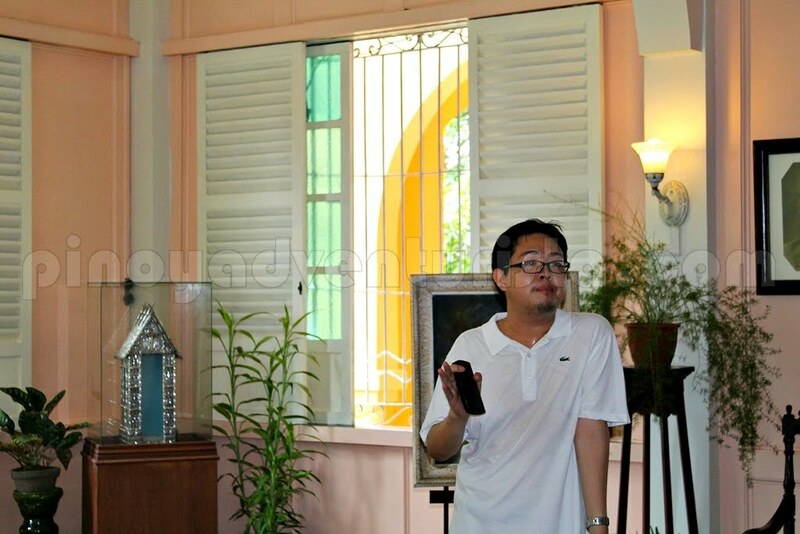 Thanks to Mr. Solo Locsin, Sen. Locsin's grandson for welcoming us into their home. 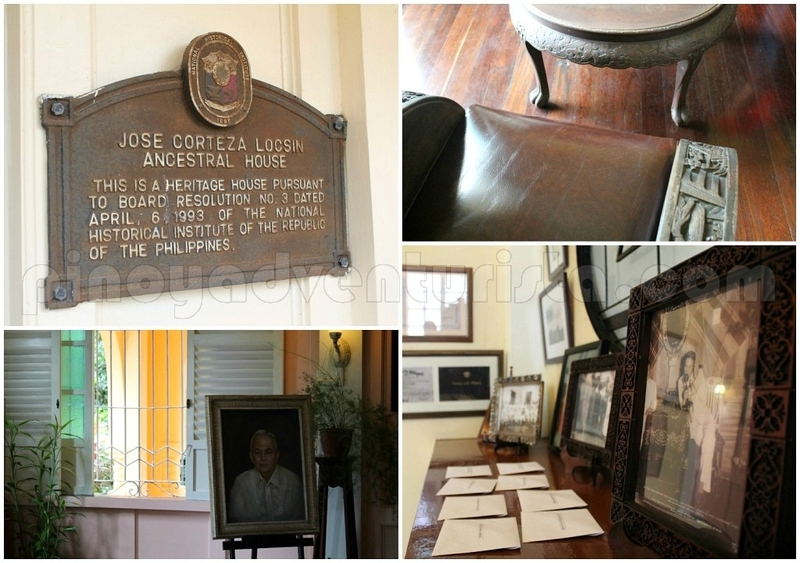 He actually showed us around and gave us some history about the house and bits and pieces about the late Sen. Jose Locsin. And oh, they even served us with homemade tsokolate and biscocho for snacks, and some freshly made merengue. Yum yum! Before ending our tour, we went to the Lacson house for some food tasting activity. 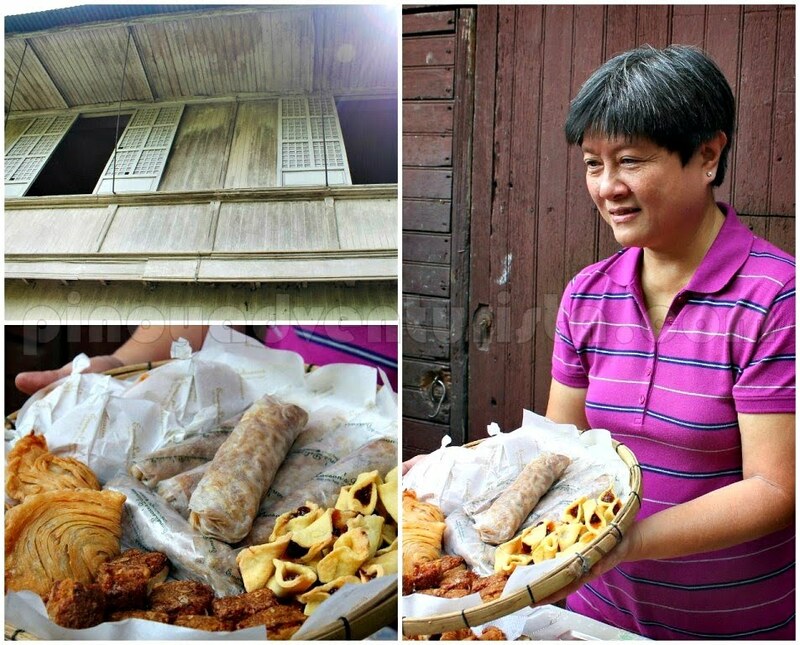 We were welcomed by Nora Lacson and she let us sample some of Emma Lacson's delectable Silay recipes of Paño-paño, Pili Bars, Fresh Lumpia and Empanada. The paño-paño and Pili bars are my favorites! Yum yum! 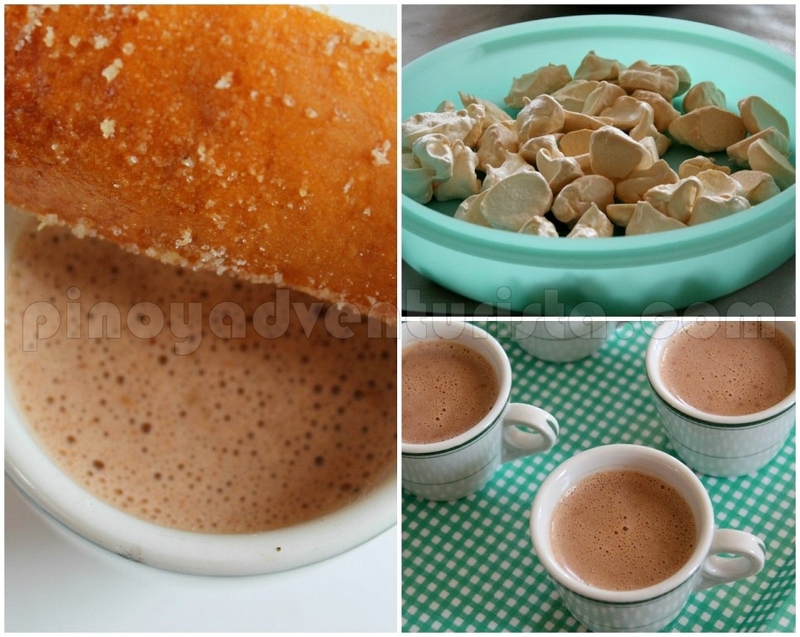 You can find them at 120 Rizal corner Ledesma Sts., near BPI bank or you may call them at (034) 4955047. Once again, Silay didn't fail to amaze me! 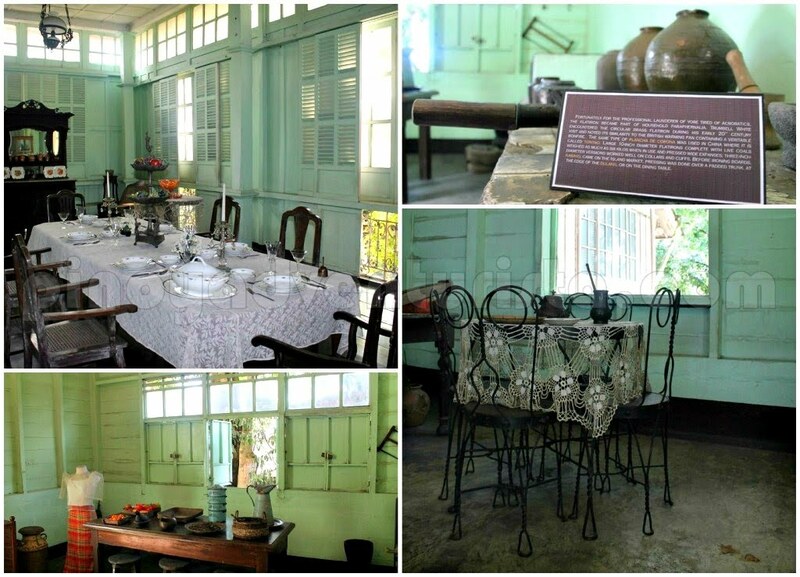 Being able to visit these ancestral houses which is home to some of Silay's notable personalities gave us a glimpse of their lives back then. This tour is truly an enriching one! Many thanks to the owners of the houses who opened their doors for us and to Negros Bloggers, Merci Pasalubong, Choose Philippines and Byahilo.com> for making this tour possible. 'Til next time! Cheers!!! Oi Peyborit ko yung Balay, nameet mo ba si Gigi yung apo ng mg Jalandoni? :-)! 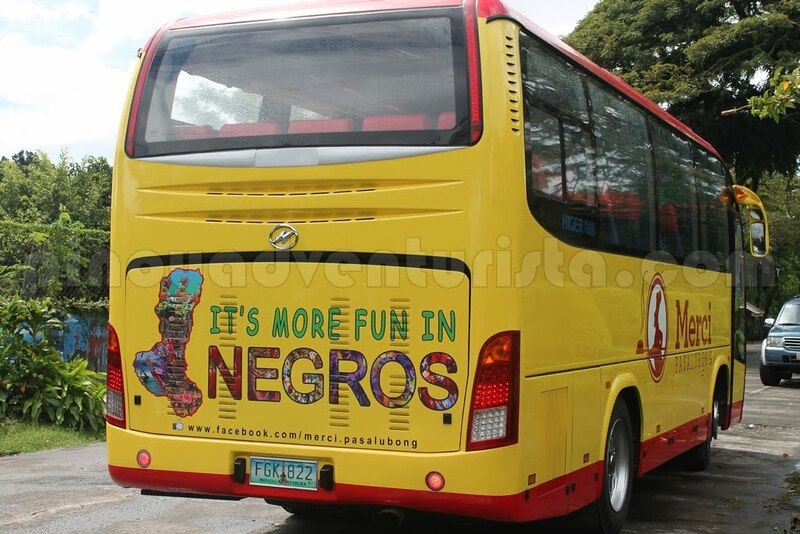 ahh negros! "I really wated to visit this. ikaw na tlga kuya! :D Idol na idol tlga!